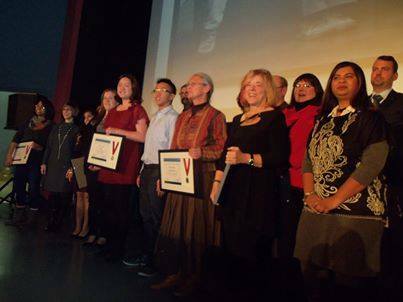 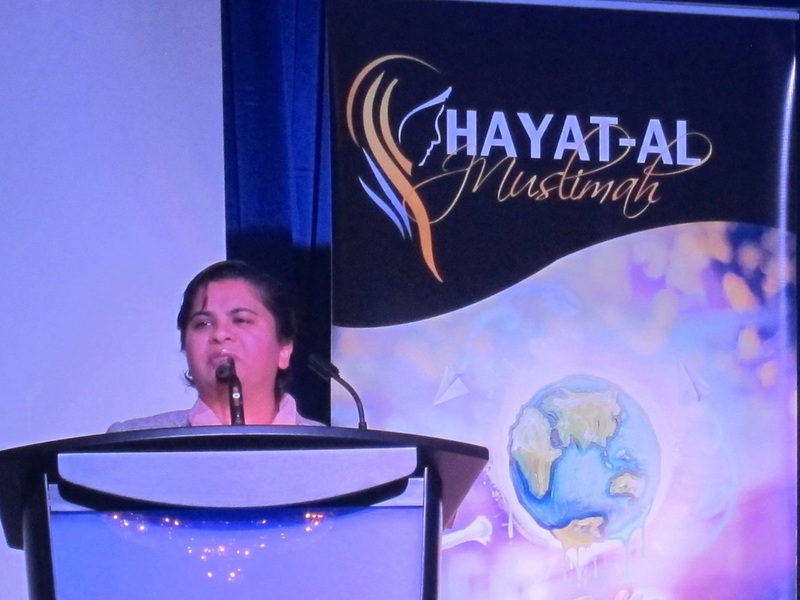 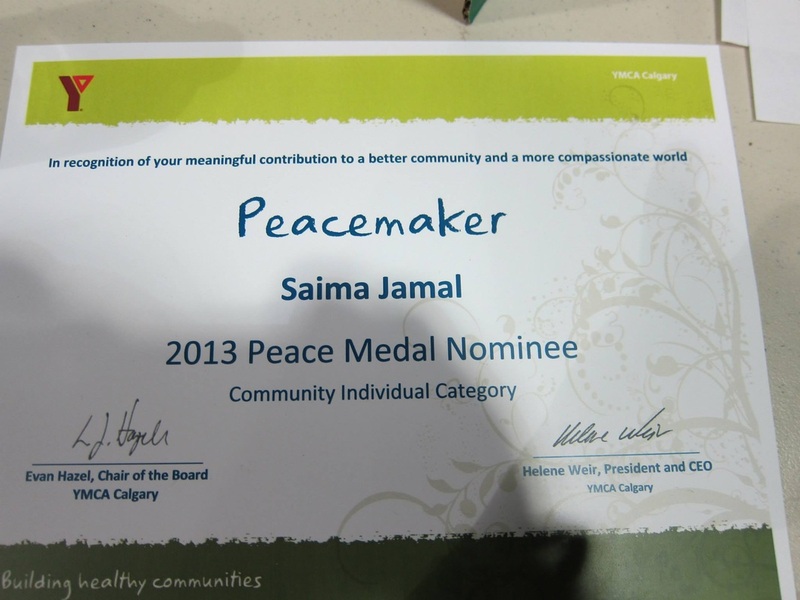 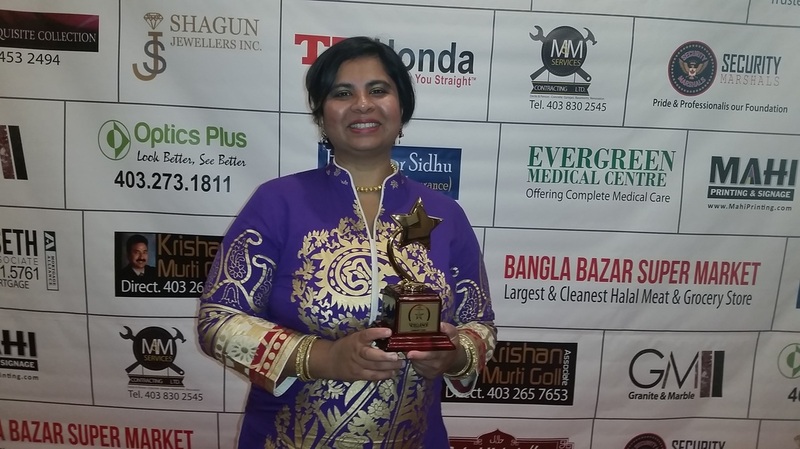 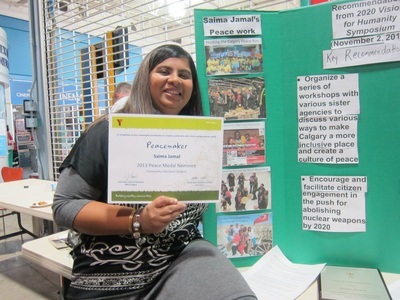 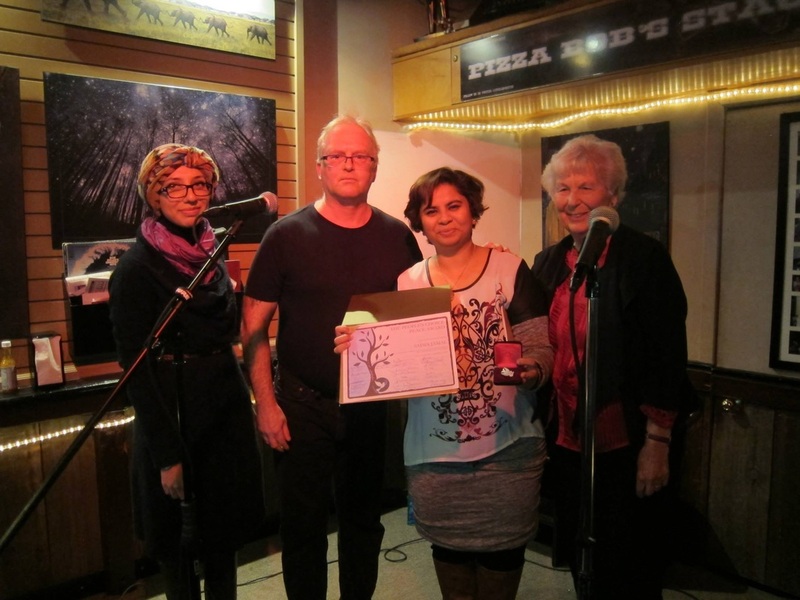 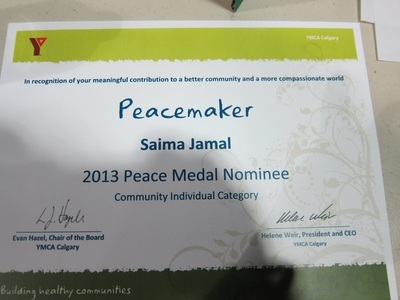 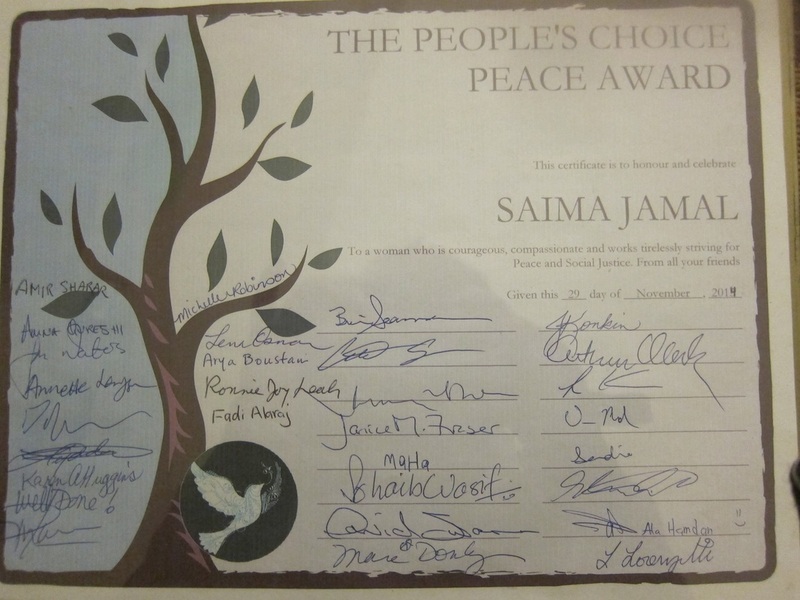 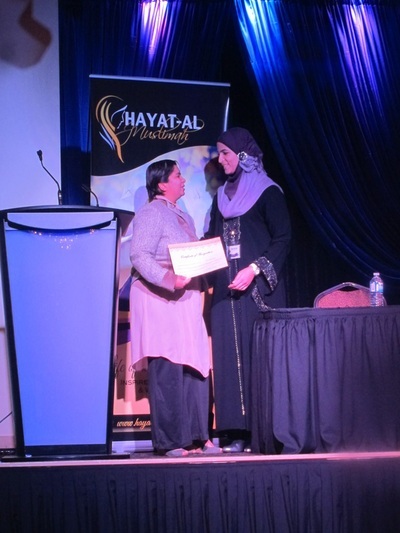 Even though the YMCA disappointed many in revoking Saima's peace medal - the large community of Calgary stepped up to inaugurate the new annual "People's Choice Peace Award". 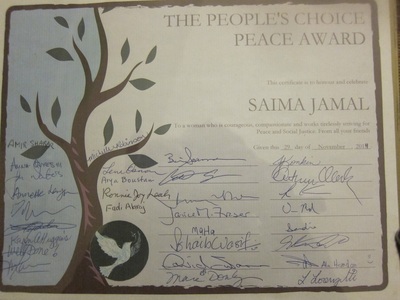 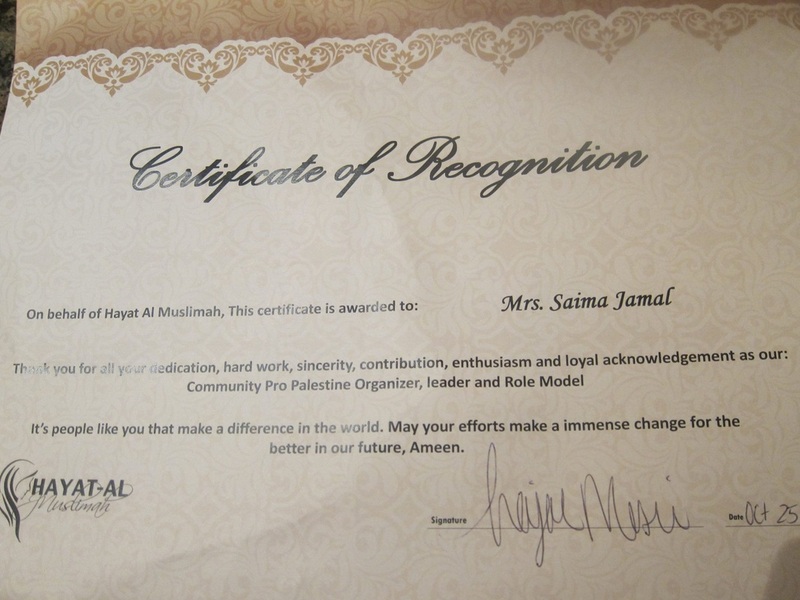 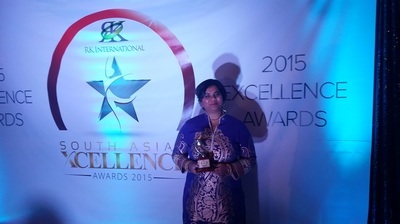 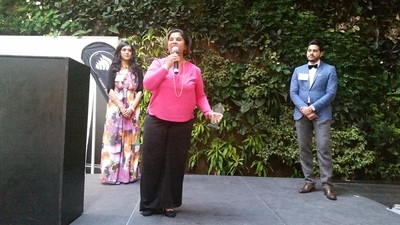 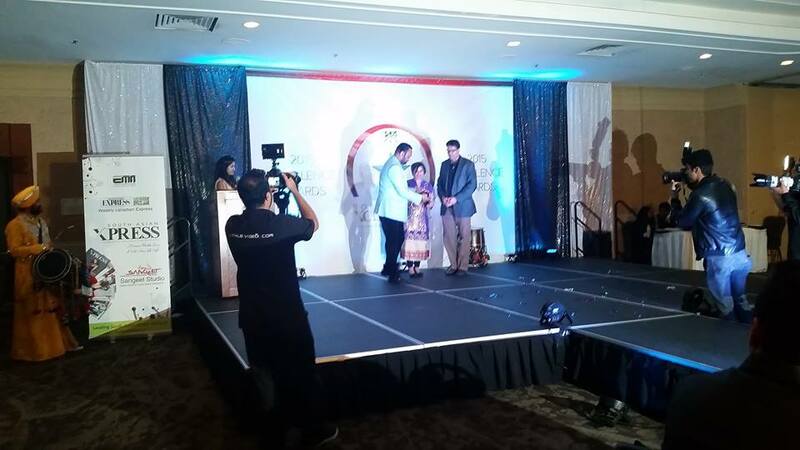 Saima Jamal was chosen as the first recipient. 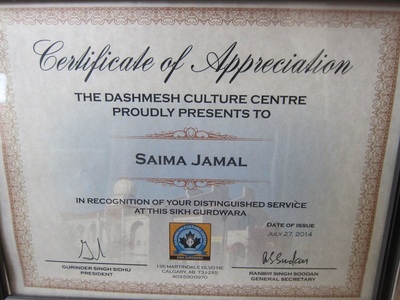 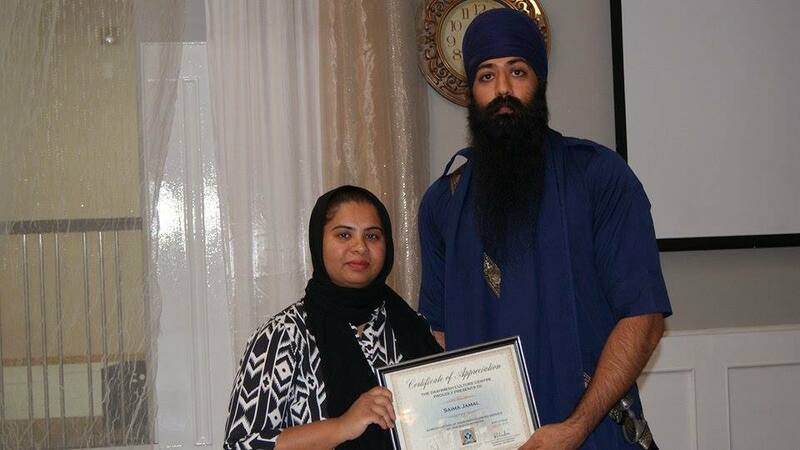 ﻿2014 Certificate of Appreciation for her distinguished service at the Sikh Gurdwara in talking about injustices and calling all Sikh brothers and sisters to join and bring peace in Gaza. 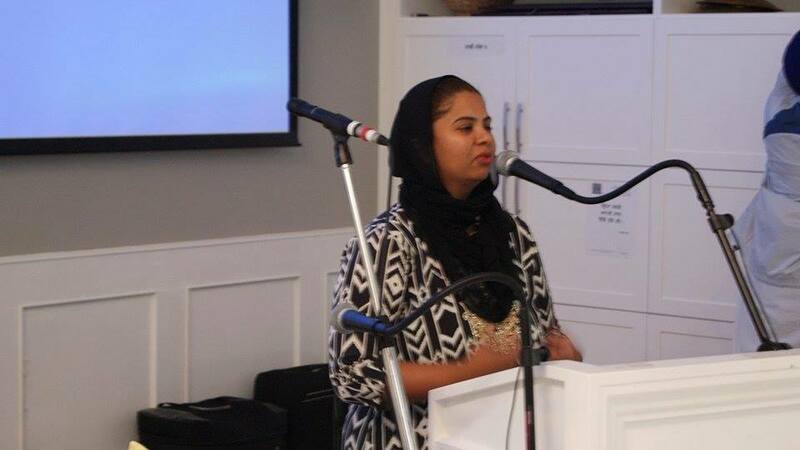 Here Saima spoke to 500 Sikh men and women in the Calgary Gurudwara (Sikh Temple) explaining the situation in Palestine and talking about the work people are doing in Calgary. 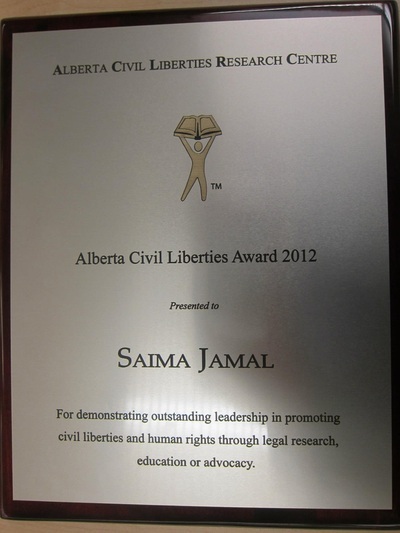 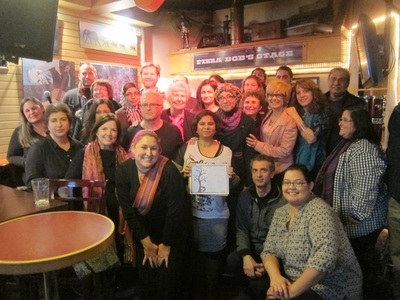 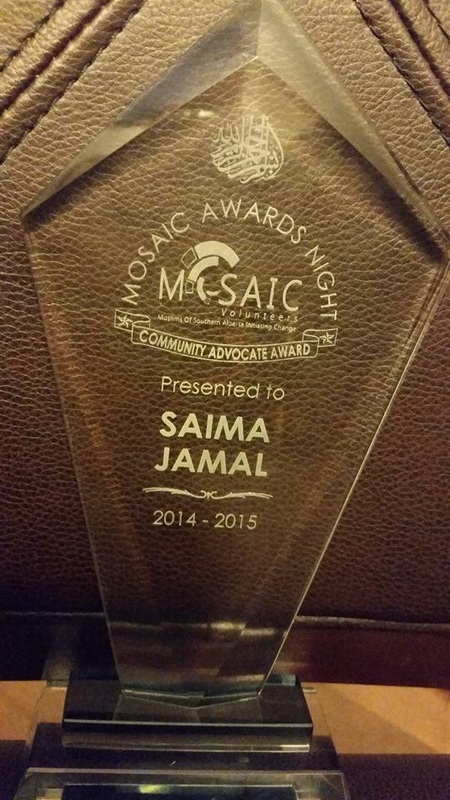 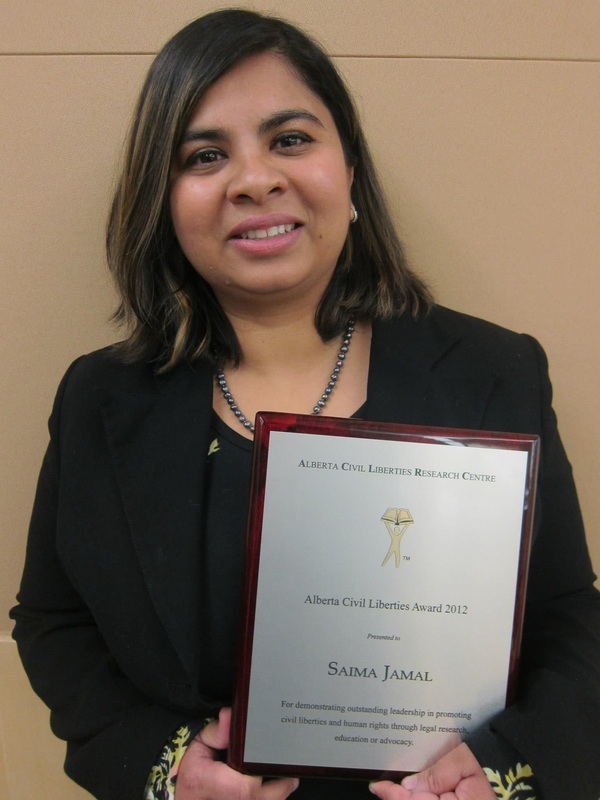 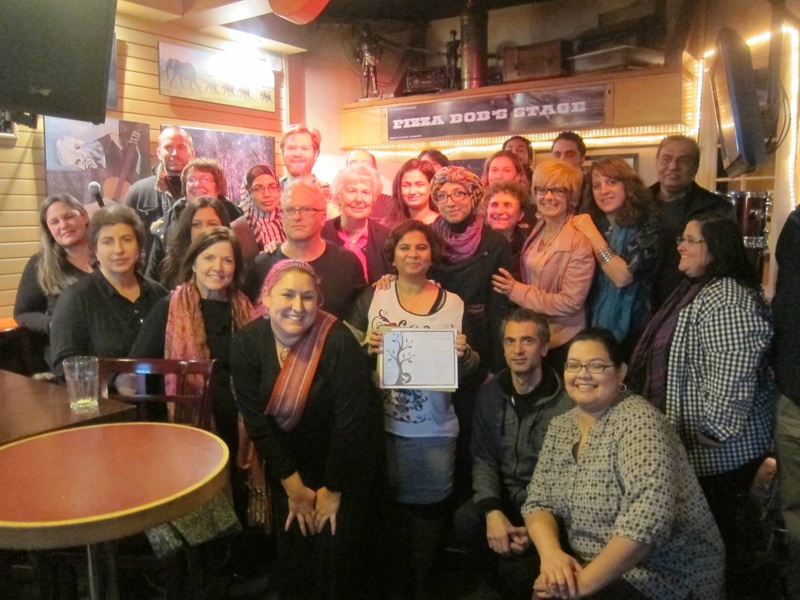 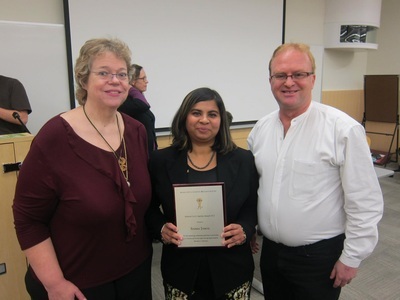 Saima Jamal is the recipient of the 2012 Alberta Civil Liberties Award for demonstrating outstanding leadership in promoting civil liberties and human rights in Alberta.